Danish School of Design in Copenhagen 1984-1986. Danish School of Design in Kolding 1987- 1990. (Candidate in ceramics design). The 4th World Ceramic Biennale 2007, Korea. Danish Ceramics 1850 – 1997, Sophienholm, Copenhagen. Annie and Otto Detlefs Foundation, The big ceramic prize 2011. Ellen and Knud Dahlhoff Larsens Foundation 2010. L. F. Foghts Foundation. 2009 and 12. Ole Haslund Artist Foundation 2007. Winning a prize Honorable Mention in the 4th World Ceramic Biennale 2007 Korea. The Danish Arts Foundation. 1992, 93, 95, 96, 99, 01, 02, 04, 08, 10, 11, 12 and 16. The Danish National Bank Jubilee Fund. 1994, 95, 03, 04, 07, 08, 09, 10, 11 and 12. Pre-qualified for the competition: ”Ceramics for everyday use” Danish Arts Foundation, 1995. Applied Art Prize of 1879, Bronze Medal. 1991. Museum für Kunst und Gewerbe, Hamburg 2011. Annie and Otto Detlefs Collection, 2002, 2005, 2007, 2010. Musée Magnelli, Vallauris, France, 2008. Ny Carlsbergfondet, 2008, 2014, 2016. Victoria & Albert museum, London, 2007. Icheon World Ceramic Center, Korea, 2007. Danish Museum of Art & Design, Copenhagen, 1993, 2004, 2007. Danish Ceramic Museum, Middelfart. 2004. The lobby of the Danish National Police Headquarters. Copenhagen. 1998. Art Foundation of the14th of August. 1997, 2011. Collect, catalogue 2018. P 57. CLAY, Amber Creswell Bell, 2017. P 202 – 205. 50 years - 50 Voices of Design 2017, Danish School of Design, Kolding. P 106 – 107. Tresor, Basel 2017, catalogue. P 103. Dansk Værkstedskeramik 1950 – 2010, Bodil Busk Laursen, 2017. P 156 – 157. 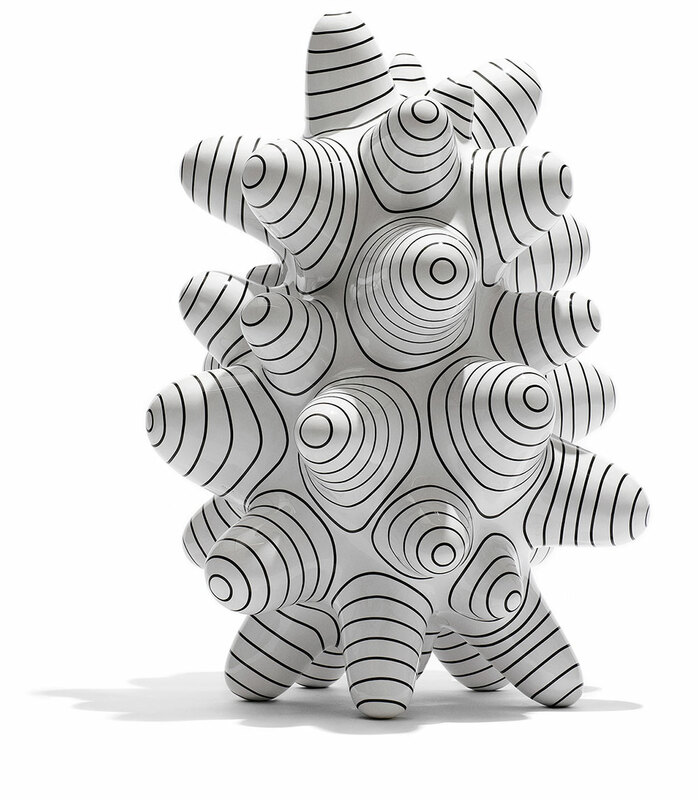 Dansk Design Nu, Lars Dybdahl, 2016. P 257, 264, 265, 411, 433. Art Paris, catalogue 2016. P 254 – 255. Copenhagen Ceramics 2016, P 35 – 39, 166 – 169. Conver – Gence and Transcen – Dence 2015. P 26 – 69. Ceramic Glazes. Brian Taylor and Kate Doody, 2014. P 106-107. New Ceramics 4/13. P36 – 37. Steen Ipsen, katalog Tied-Up 2012. Ceramique et du Verre 2012. P 23. Unika Keramik, Kunstetagerne Hobro 2009, katalog P 30 – 31. Ceramique Contemporaine 2008. P 26 – 27. New Danish Ceramics, Statistics Ceramics 2007. P 15 – 16.
International Competition, Korea 2007. P 109. Steen Ipsen, Katalog 1990 – 2005. Skaberrum, Marianne Grønlund 2002 – 2005. P 166 – 169. Danish Craft at Sofa Chicago 2003. P 31. From the Kilns of Denmark 2002. P 70 – 71. Ny Keramik/New Ceramics 2002. P 40 – 41, 48. Dansk Design 1997. P 42. Junta med gæster, katalog 1977. P 13 – 14. Dansk Keramikbiennale 1997, katalog P 24 – 25. Ny Dansk Keramik, Ribe Kunstmuseum 1995. Design from Scandinavien 1995. P26. Gentagelsernes Variation 1994, Galleri Nørby. Keramikkens Underskov 1993. P 18.